Questions and answers on how to best remove the toughest stains in your carpet. Do you have questions about how to keep your oriental rugs in good condition? Want to know how to take care of carpets and what to do when they are stained? If you want to find answers to similar questions, check out the following frequently asked questions and their answers. They are all about carpet cleaning. If you have questions concerning carpet stain removal methods, check out the following FAQ and answers. Traditionally, shampoo cleaning is a method of cleaning carpets using a buffer machine similar to the one used for hardwood floors. 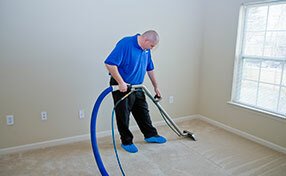 A cleaning solution or shampoo is applied on the buffer machine which is then made to work through the carpeted floors. Experts at Carpet Cleaning Sausalito don't usually recommend this cleaning method since it is considered as a less than adequate cleaning solution. Carpet shampooing only spreads dirt and stains around. There is no dirt sucking involved. Bonnet carpet cleaning is similar to carpet shampooing but different in its use of a spinning cotton bonnet. Here, a cotton bonnet is dipped into a carpet cleaning solution. Using special equipment, it is then made to spin while getting in contact with the carpet to shake off and absorb dirt from the carpet. This cleaning method is considered more preferable compared to shampoo cleaning. However, cleaning methods that involve dirt sucking are still considered more effective. Our professional carpet cleaners promote a green environment and encourage good health. 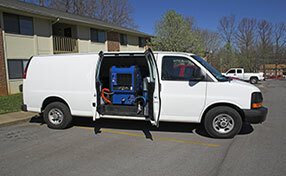 Therefore, only the safest, effective, and efficient carpet cleaning products are used to ensure safety. Harsh chemicals are not used as they can damage your health. This ecological product is 100% safe. Why should I clean my carpet annually? You can avoid problems and keep your house clean. 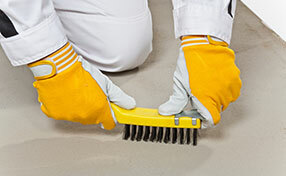 The problems are related to over-accumulated dirt, bacteria or even water damage. By checking the carpets once a year, you will be sure that your floor is free of mold. By cleaning the carpet properly, you will assure that your carpet is free of dust, stains and bacteria. So, you won't deal with health problems due to dirty carpets and there will be no bad odors in the house.